He has been involved in over 200 union-organizing attempts, union elections, de-certifications, contract negotiations, and strikes. He presents seminars for clients and employer associations on all aspects of labor and employment law.Mr. Harper has practiced in Labor Relations and Employment Law for over 30 years. 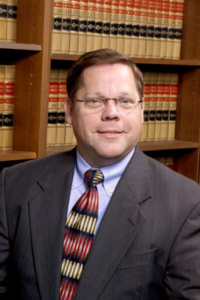 He is Board Certified by the Florida Bar in Labor and Employment Law. He is also certified by the Florida Supreme Court as a Circuit Court Circuit Civil and Appellate Mediator. Mr. Harper represents a diverse group of companies in a broad range of employment and labor issues. He counsels clients concerning the FMLA, the ADA, the ADEA, and sexual harassment. He has litigation experience in a wide variety and number of cases, including numerous jury and non-jury trials before federal and state courts and administrative agencies. Mr. Harper has been selected in The Best Lawyers in America, published by Woodward/White for the past 14 years (1995-2011). In July, 2005, Mr. Harper was listed in Florida Monthly magazine as one of the top lawyers in Florida in Labor and Employment Law. In 2012, Florida Super Lawyers Magazine named Mr. Harper as one of the top lawyers in Florida. Mr. Harper has also served as an expert witness on employment law issues in federal court in Florida. Won jury verdicts in age discrimination trials for Wal-Mart Stores Inc.; K-Mart; and Gold Kist Inc. Successfully enforced an arbitration agreement resulting in the dismissal of a wrongful termination lawsuit. Worked with a large orange juice processing facility under attack by the Teamster’s Union resulting in an overwhelming vote against union representation. Won summary judgment in an age discrimination case resulting from a company-wide restructuring. Defending a trucking company in a race discrimination lawsuit resulting in the former employee/plaintiff dismissing the lawsuit at the close of discovery. Gregg Gerlach is well-recognized as one of the premier labor and employment lawyers in Florida. Mr. Gerlach has received The Martindale-Hubble Peer Review Rating of AV Preeminent, reflecting that Mr. Gerlach’s peers have rated him as having the highest ethical standards and professional ability. In 2009, 2010, 2011 and 2012, Florida Super Lawyer Magazine designated Gregg as one of the top Labor & Employment Lawyers in Florida. Mr. Gerlach is also Board Certified in Labor & Employment by The Florida Bar. 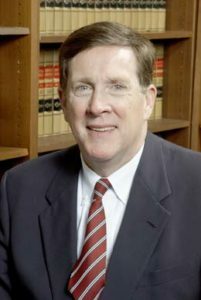 Mr. Gerlach has litigated labor and employment law disputes since 1991. He has successfully defended a broad range of employers in both the federal and state courts. Mr. Gerlach concentrates his practice in the trial and arbitration of discrimination and sexual harassment claims, COBRA claims, contract and tort disputes, non-competition issues, and wage and hour matters. He has successfully litigated in Florida, Texas, Kansas, Iowa, Georgia, South Carolina, Massachusetts, Connecticut and Colorado. Mr. Gerlach advises small, Medium and Large employers on day-to-day employee discipline, discharge and compensation issues and on implementing “HR Best Practices.” Mr. Gerlach also implements and administers employee mandatory arbitration contracts and company alternative dispute resolution programs. Prior to forming Harper Gerlach, Mr. Gerlach practiced with Bruckner & Sykes, LLP, in Houston, Texas and then with Haynsworth, Baldwin, Johnson & Greaves, LLC in Jacksonville, Florida. Sean Douthard has experience representing both management executives and professionals in areas that span all facets of employment. His primary areas of focus are on claims related to wage and hour compliance, Title VII discrimination and harassment, family and medical leave, non-competition litigation, contract disputes, benefits and compensation, employment policies and handbooks, as well as unemployment appeals. Sean has experience representing clients in unemployment compensation telephonic hearings, before the Unemployment Appeals Commission in Tallahassee, Florida. Admitted to practice in all State Courts in Florida.